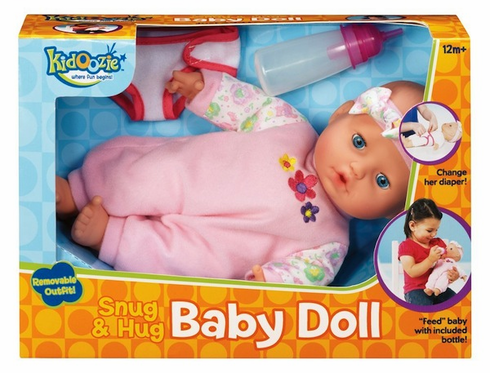 Every young girl needs her very own baby doll. The Cutie Baby Doll is an adorable, soft and cuddly baby doll looking for someone to hold her and love her. She has removable jumper and headband. Includes removable diaper and a bottle. For ages 3 years and up.